Kids Read envisions a world where all children have the opportunity to discover and embrace the joy of reading as they gain the literacy skills needed to become competent and independent readers. "I used to hate it, but now it's fun and I kinda love it." We work in collaboration with existing community resources to extend the reach and effectiveness of families, volunteers, libraries and educators to meet the needs of developing readers. Kids Read, a 501(c)(3) nonprofit, is a child-centered agency dedicated to creating opportunities for developing readers to engage in authentic reading in a positive social context. 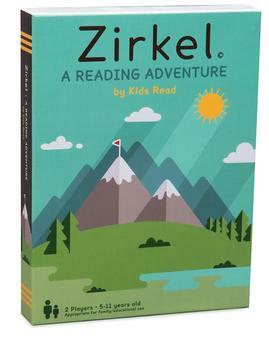 We keep reading practice fun and interactive by using Zirkel, our innovative board game, which incorporates research-based best teaching practices into game play.